How do you know which plumbing service company to hire? With so many options, and even more concerns on fees, quality, and safety – how do you really know which ones are worth the trust and the costs? For starters, go for one that has a good rating from the Better Business Bureau (BBB) – like 4Star Plumbing Services! 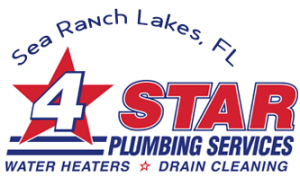 4Star Plumbing Services is the premier choice for plumbing and other related services in Sea Ranch Lakes and the immediate areas around Broward County including Fort Lauderdale, Hollywood, Hillsboro Beach, Margate, Miramar, Oakland Park, Parkland, Plantation, Pompano Beach and Weston. We have an A+ rating from the BBB, and a string of happy and satisfied customers who come to us for all their plumbing, heating, and water filtration needs. 4Star Plumbing Services has earned its reputation for reliability not only with the quality of services that we carry out, but more importantly with how we treat our customers. We make sure that you know everything about the services you’re getting, what your options are, and what would best work for you and your budget. We also give you the assurance that every one of our personnel has been subjected to thorough background check and have no criminal backgrounds. Letting them into your home would be even much easier because they come in complete proper uniforms and identification. Get nothing less than the best plumbing services today! Get it from 4Star Plumbing!